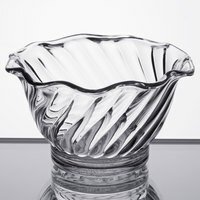 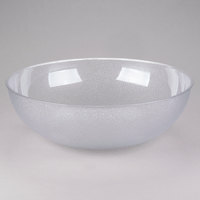 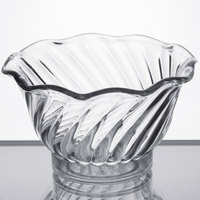 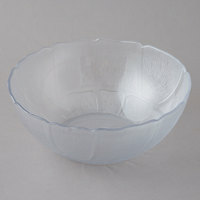 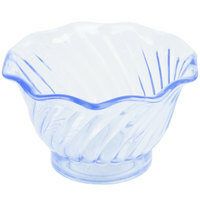 Serve fresh fruit, salad, pasta, iced beverages, and more in these plastic bowls! 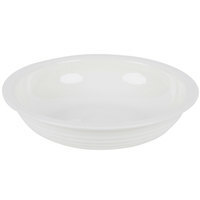 Great for use at catered events, casual restaurants, or cafés, these reusable bowls are higher quality than disposable servingware and more economical than actual glassware. 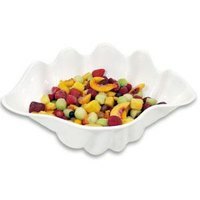 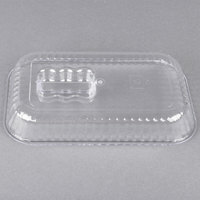 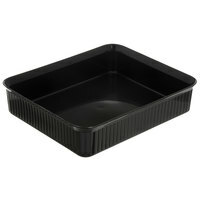 You’ll also get multiple uses out of these products, since each plastic bowl is reusable. 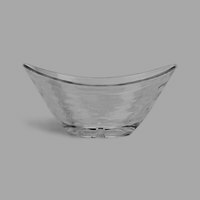 These bowls are available in various styles and color options, so you’re sure to find a plastic bowl to meet your establishment’s needs. 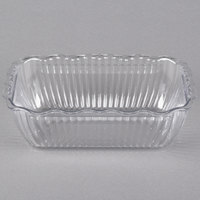 Choose from clear dessert dishes that are meant to resemble actual glass, or browse our colored deli crocks that are made to mimic the look of quality china and porcelain. 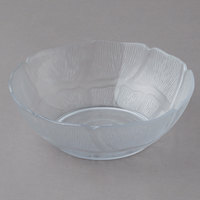 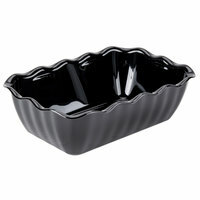 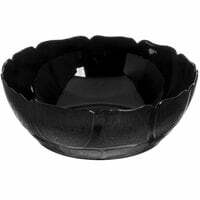 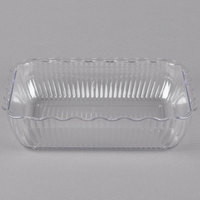 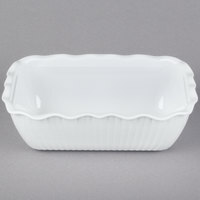 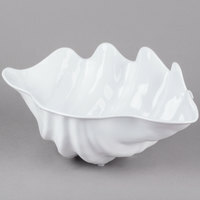 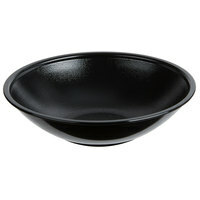 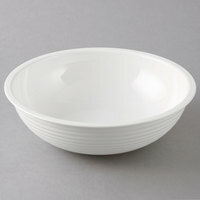 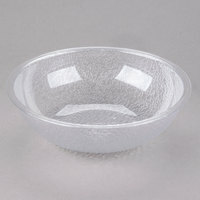 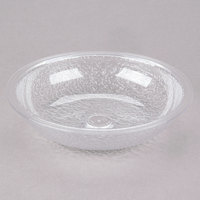 You’ll even find plastic bowls with intricately shaped rims for an even more upscale quality and appeal. 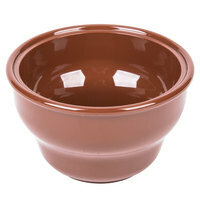 30 1 - 2.4 Qt. 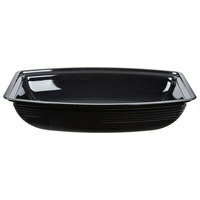 49 2.5 - 3.90625 Qt. 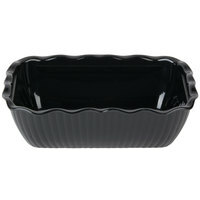 43 4 - 7.4 Qt. 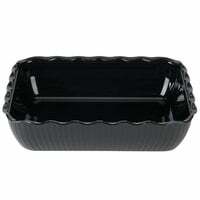 25 8 - 40.7 Qt. 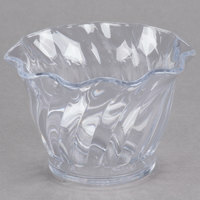 37 4 - 10 Oz. 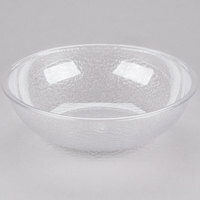 23 11 - 17 Oz. 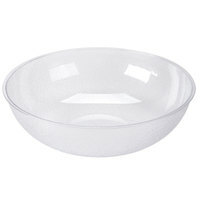 14 18 - 30 Oz. 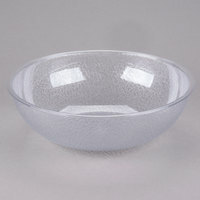 14 31 - 156 Oz.